Need a Jet Ski Rental Near Me in Fort Lauderdale, Florida? 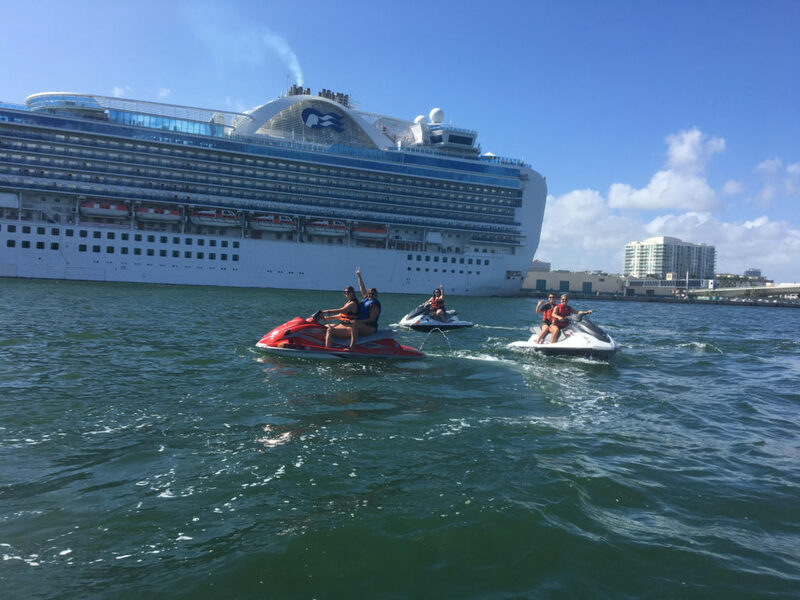 Home › Need a Jet Ski Rental Near Me in Fort Lauderdale, Florida? Sunning and relaxing on the beach can feel great, but it’s not very exciting. You can be out on the water having the time of your life when you arrange for a jet ski rental from Jet Ski Fort Lauderdale, the premiere resource for jet ski rentals Fort Lauderdale. When it comes to providing you with the best service, equipment, availability and rates for jet ski rentals Fort Lauderdale, you can’t beat Jet Ski Rental Fort Lauderdale! Don’t limit your holiday in Florida to sitting on the beach when Jet Ski Rental Fort Lauderdale makes it possible for you to explore the Venice of America sitting astride a powerful jet ski out ON the water. Looking for Fort Lauderdale Jet Ski Rental Near Me? We offer jet ski adventures ranging from 1 hour to 4 hours, seven days a week, rain or shine, year-round. Our jet ski rentals provide every member of the family with an exciting way to see the sights of Fort Lauderdale, Pompano Beach and surrounding communities from the unique vantage point of being right on the water. Whether you want to cruise leisurely past such legendary local sights as the Boca Inlet, Port Everglades, or the strip known as Millionaire Mile, or are ready to shake things up by speeding across the ocean, we have the right jet ski rental to guarantee an afternoon of sheer fun and excitement. Our Jet Ski Rental Prices Fort Lauderdale are among the best values of any jet ski renters in the area. Our Fort Lauderdale jet ski rental prices range from $99 for one hour, intracoastal use only, including a free waterproof phone case, to $149 for 2 hours of intracoastal and ocean fun, to the ultimate 4 hour rental package for $249 so you don’t miss one exciting minute of sightseeing along Florida’s scenic intracoastal and ocean waters. Don’t forget to bring your camera! Each of our modern jet skis fits up to 2 people with a weight limit of 400 pounds. Drivers must be at least 16 years of age and each group must be accompanied by a working phone with 80% power in case of emergency. The adventure of a lifetime begins at Jet Ski Rental Fort Lauderdale. To book a jet ski rental, or inquire about our popular jet ski tours, call us today at 954-383-8724.